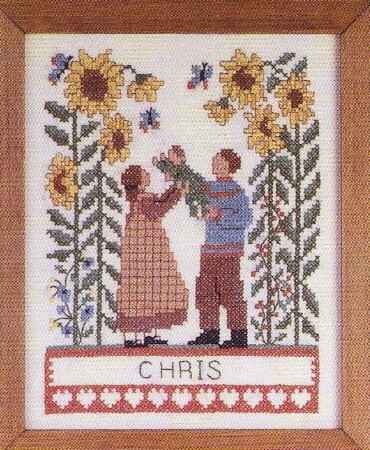 This cross stitch stamped sampler kit depicts a young family enjoying a visit among the sunflowers. You can personalize this printed cross stitch craft kit and add it to your family collection. Good for a child's room and the type of cross stitch craft kit that lends itself to various stages of development in child's room.